With pale skin, dark, messy hair, that subtle smell of old cigarette smoke and dressed all in black, 22-year-old Rhett Bixler hardly looks like a kid from Orange County, Calif. As his friends tell it, he’s a New Yorker at heart who thrives on the chaos of the city that never sleeps. Since moving to New York in 2005, Bixler has used time outside his studies at NYU to explore his many interests and entrench himself in the city’s nightlife scene. Bixler is one-half of the DJ duo The Chainsmokers, known for spinning into the wee hours of the night at hipster hangouts like The Annex. 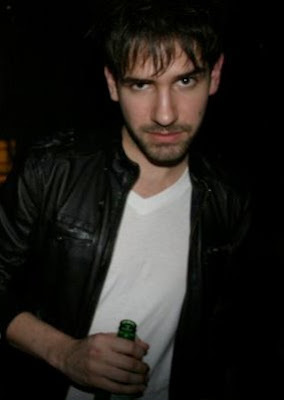 He also runs a nightlife photo blog, A Coterie, where his job is to identify the who’s who of New York scenesters. Bixler certainly has found no shortage of hobbies to explore in New York. Aside from DJing, he draws political cartoons and has done stand-up comedy at the Gotham Poetry Club. “Rhett’s really surprising,” said Lee Smith, a friend from NYU. “He’s always doing new things you didn’t know he could do.” Bixler interned at Rolling Stone magazine, a typical venture for the double major in journalism and politics, but he also interned at Harper’s Bazaar where he explored the possibility of becoming a wardrobe stylist. According to Shiohama, Bixler has a unique ear for music and a taste for the unusual. When the two were teenagers, they would get together and jam on the guitar, exploring the blues and emulating greats like Stevie Ray Vaughn. “Not too many people our age were into that,” Shiohama said. It was around that time that Bixler began honing his skills as a tastemaker. His sister Brittani Bixler still has the mix CDs of new music he would push on her as a high schooler. Five years later, Bixler still passionately exposes people to new music as Ciga-rhett of The Chainsmokers. Bixler is cultured but not snobby, said Smith. “He’s not obnoxious about it but he definitely knows what’s going on in the entertainment world. He’s very down with what’s happening culturally,” Smith said. His diverse interests can seem chaotic, according to Katie Willhoit, a friend and former classmate at Calvary Chapel High School in Costa Mesa. “Honestly, Rhett has had so many hobbies, it’s unbelievable,” Willhoit said.